Join us on Friday, 12 April for our official monthly event! 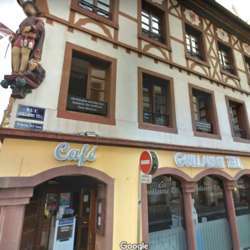 We'll be heading back to Café Guillaume Tell in the city center. Weather permitting, we'll meet outside on the bar's terrasse located on Place de la Reunion. Otherwise we'll meet inside the newly renovated bar.